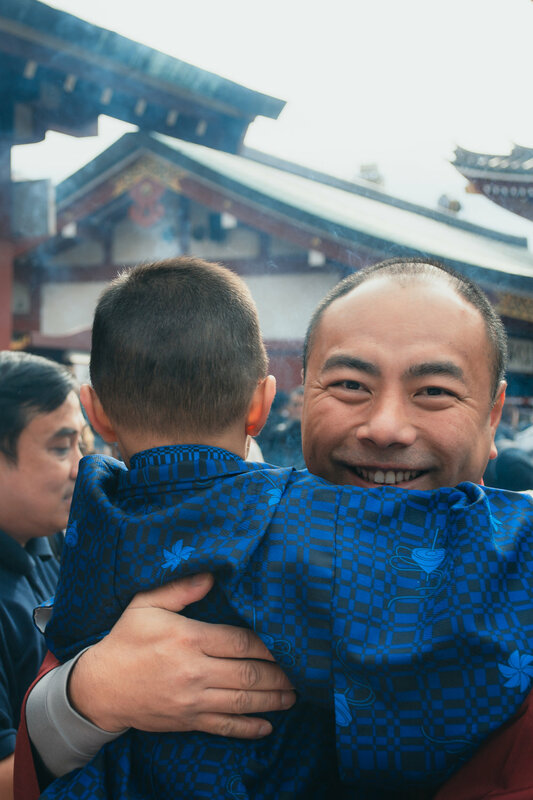 On a chilly and cloudy Saturday morning I met the Then family in Asakusa. It was their first time in Tokyo with their two adorable kids and were after some family shots against the quintessentially Japanese landmarks in Asakusa: Tokyo Skytree and Senso-ji Temple! To make it even more special, they were dressed spectacularly in a traditional kimono and samurai outfit to complete the package! My oh my, didn’t they look absolutely fabulous! We began the shoot on the Sumida River with some family and individual shots. To my delight, we came across a wall of bright green bamboo, providing the perfect backdrop for the Japanese-style imagery they were after. We took a few shots and warmed up in front of the camera with some tongue poking and peace signs (so cute!) to shake the nerves out, but the Then family are incredibly photogenic so it only took a few minutes to warm up! We then began our short walk to Senso-ji temple. It’s during these times that I like to just stay nearby to watch the families interact and snag those sweet candid shots. On the way we came across a payphone, and watching the kids pretend to answer the phone and have imaginary conversations was absolutely hilarious. Such characters! 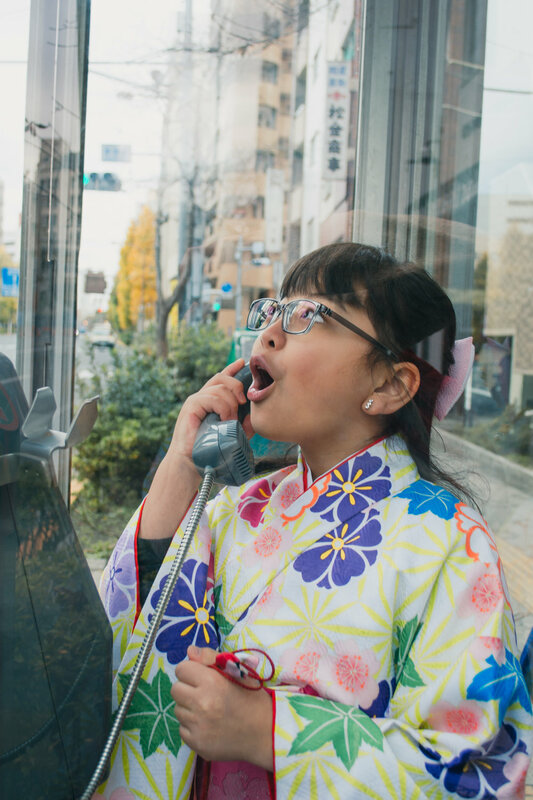 I felt that my day with the Then family was full of brightness, colour, playfulness and excitement, so I made sure that the final images reflected and evoked those memories of that wonderful day in Tokyo. I love that I have the opportunity to meet beautiful people through my art, and I’ll remember this day forever!